This is where you see the NSFW disclosure and start to read on sneakily, except this is USFW (utterly safe for work). As you do when chronic pain becomes just part of everyday life, I started to Google the medical trials for some of the treatments suggested to deal with my pain levels. One of my go to solutions when it gets too much is my TENS machine. Frankly there are times when I just don’t have enough pads & a full body suit would be a better solution, but as breakthrough methods go, it’s short term effectiveness wins my vote. But why? This is the machine I bought. Thanks to a PIP payment, I was able to upgrade my old 1 setting machine to a duel channel machine with multiple settings & the ability to set my own.This is in no way a recommendation of the device itself, just an image of my own machine for context. This can hit me & hit me hard. When my SI slips, or a rib moves, or another spinal disc bulges for no good reason, I get Mr Geek to slap the pads on & I electrocute myself for an hour or so. In these cases I use a TENS setting which in theory uses “gate theory” to block put the pain signals – the idea here is that the electrical stimulation of the nerves blocks the pain signals to the brain. Tbh, it’s similar to massage for me. When any of these areas pop the surrounding muscles often go into spasm and cause more pain, the massaging effect of the tens machine gives the muscles no choice but to contract rhythmically creating a massage sensation & also preventing them from doing their own thing. The pain relief only lasts as long as the machine is on & the intensity feels less over time. EDS is bloody evil. Not content with messing up my joints, because my muscles are taking over the job of my tendons & ligaments and because they are constantly overworked holding my skeleton together (or not), my larger muscles are riddled with knots. 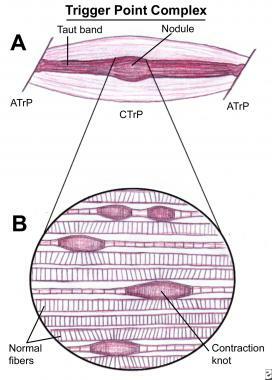 These are tiny (anything from a grain of rice to a marble) areas of muscle that ate stuck in a contracted state. Strangely, these often bother me more than a joint dislocation as they irritate & cause headaches, or twingy irritating burning pain. No one really understands why they are there, but they do cause extra pain which refers to the areas around them (eg. A knot in my shoulder may cause pain down my arm). There are a number of ideas of how to get rid of these and growing evidence to prove that each method has its merits. The 1st is massage, but rather than Swedish gentle massage, this is pushing on the knot with some considerable force until it releases. Poor Mr Geek has spent hours upon hours attacking the major lumps in my trapezium (shoulder blades) which bear the brunt of force holding my shoulders together and my head up. A good massage therapist can work out knots, but within 24 hours mine can return so the cost would be prohibitive! Secondly is getting the muscle stimulated. Activating the muscles my lifting weights is a good example, but a terrible idea for someone with unstable joints! So along comes the TENS machine with its EMS setting (electrical muscle stimulation). With the pads placed correctly, this makes the muscle twitch in a rather off putting manner, but through contraction & release, somehow confuses some of the knots into relaxing and joining the normal working muscle. If you can get through the weird twitching, this is a simple option that also tones the muscle. The final solution I’ve yet to try, but am fast edging towards is myofascial release therapy which is rather uncharted territory. The basic premise is to insert a needle into the nodule (knot). Trials have shown that this process somehow forces the muscle area to stop contracting. This is done as either a standard acupuncture needle to just release, a set of acupuncture needles which are then attached to an electric current which adds the TENS element, or more clinically, a standard needle which administers a small dose of botox into the muscle which prevents the muscle from contracting for enough time to stop the knot reforming. It may sound drastic, but the third option appeals to me from a logical standpoint. If I’m desperate enough to allow someone to stick needles into me (and I am), I don’t want the bloody things coming back within hours! 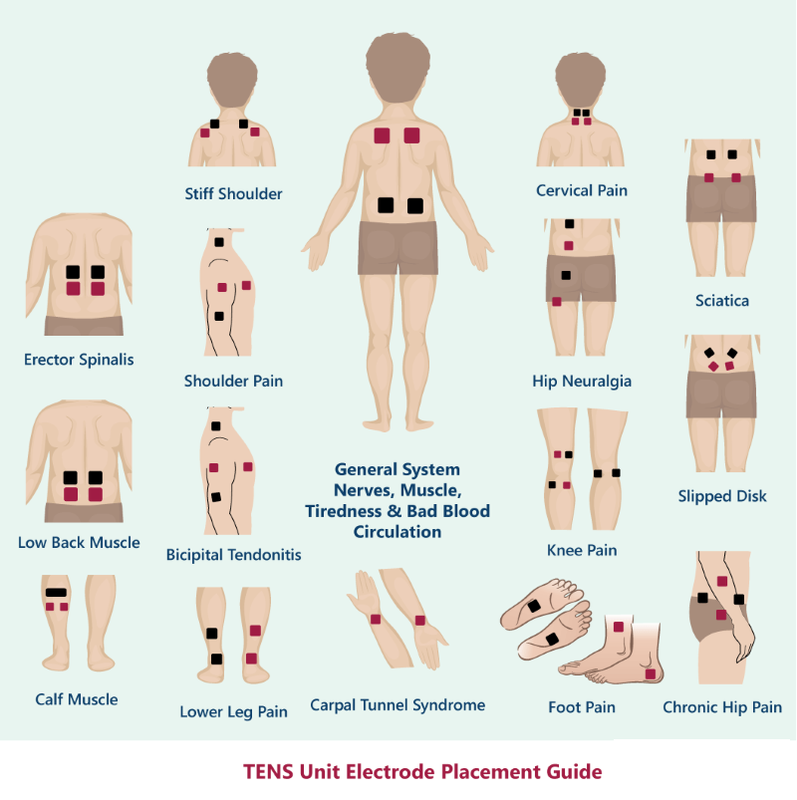 Have you tried TENS for pain relief? Or even had needles stuck into you in desperation? Did it help?